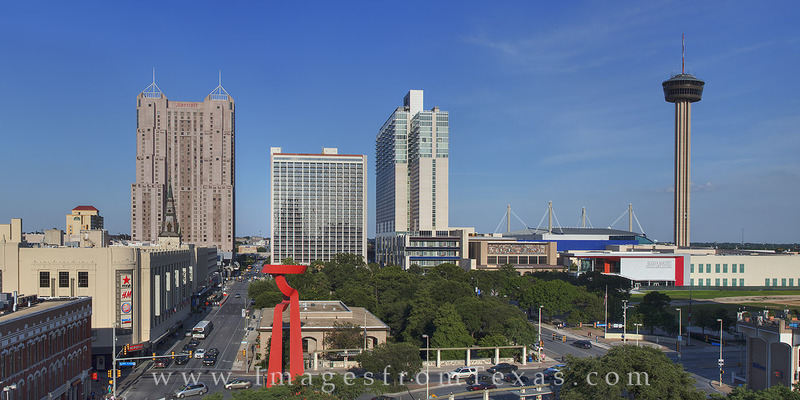 This San Antonio Panorama shows two of the city's more iconic landsmarks - the Tower of the Americas and the artistic Torch of Friendship. This view comes from a garage near the famous Riverwalk. Photo © copyright by Rob Greebon.